The Coves, one of a handful of aviation estates in South Africa, is a beautiful lifestyle estate on the Western shores of Hartbeespoort Dam. It boasts a 900m tarred runway with two windsocks and well maintained grass verges. Aero Cove, a fifteen stand residential area situated adjacent to the runway , has been planned and designed for homes with private hangars, making it a sought after property in the aviation community. Most of the stands have been developed, but there is still the opportunity for development of 5 remaining vacant stands. There are an additional six hangars next to the airfield. 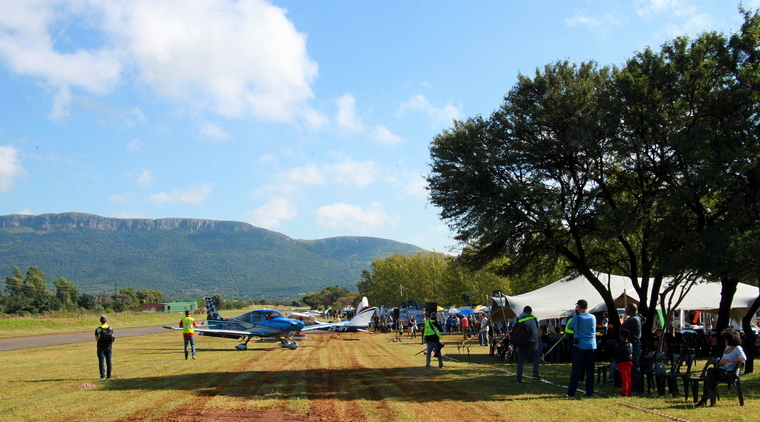 The annual "Coves Fly-In" has been a popular event on the aviation calendar since 2011 when the first Fly-In at The Coves, based on an idea of George Brink and Jan Hanekom, was held. Sadly George, together with his father Wally had a fatal accident competing in the President's Cup Challenge that year and Jan, as a tribute to George took over the arrangements. A breakfast was sponsored by the developers and run and managed by Harcourt's, from Jan's hangar which was then the only hangar. Already the trend was set - 140 breakfasts were served when the plans were for 100! Some of the visitors that included this Fly Baby and Tiger Moth. A surprise visitor that flew two low level fly pats was the SAAF Museum de Havilland Vampire flown by Glen Warden. Since then, except for 2017, the fly in has been held every year and is now one of the most popular fly-ins on the aviation calendar. Eragrostis was planted on the farm in February 2008. Eragrostis does not require much labour or additional costs and makes a pleasant open space landscaping view. It is still growing and is harvested on Mountain and Woodlands pivots. Pilots of the radio control gliders at one of the Eragrostis fields on Saturday. 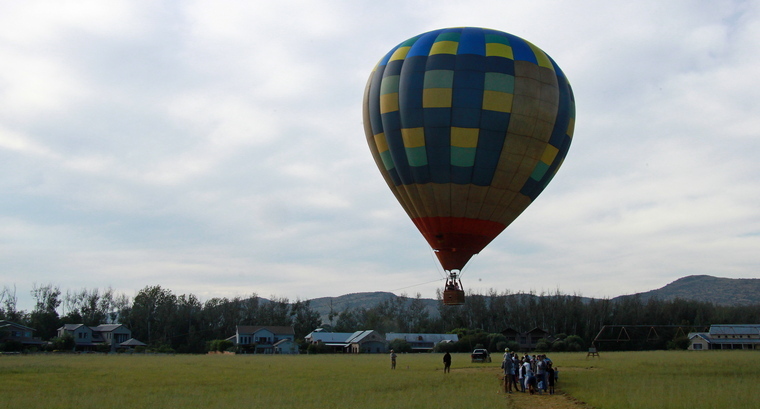 And one of Bill Harrops's Original Balloon Safaris offered tethered flights from another of the Eragostis fields. Coves residents, father Larry Beamish in the Rv and son Jason in the Extra 330 did a brief display. The Radio Control jets was one of the crowd favourites. Expect to pay between R50,000 and R80,000 for a basic model. 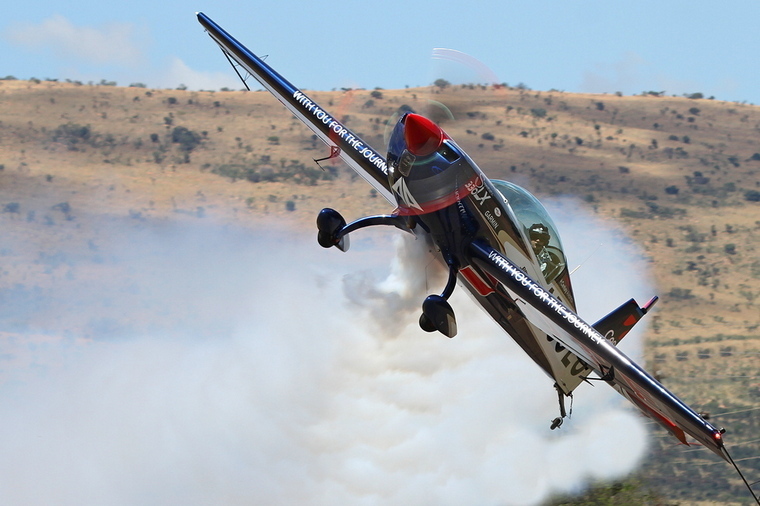 The highlights of the day were several aerobatic displays by some of the most sought-after teams and individuals on the continent. 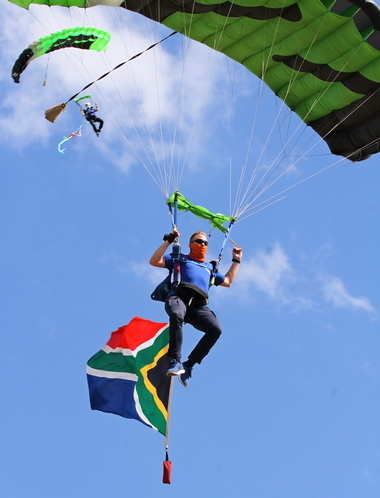 The Flying Lions Formation Team regularly grab headlines with their daring feats and magnificent aerial displays at air shows around South Africa. 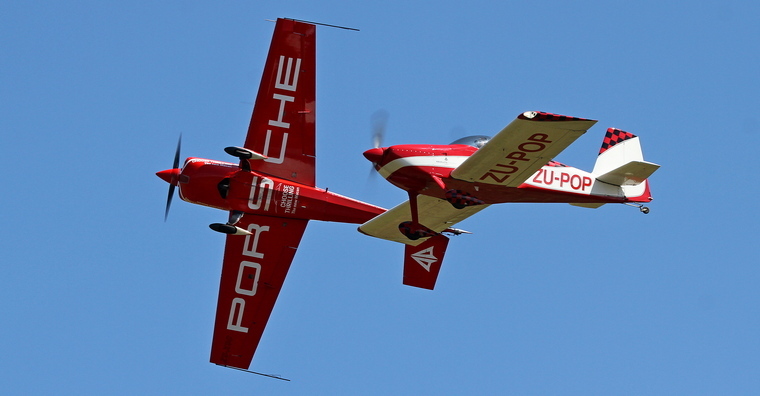 Sponsored by Puma Energy, the team consists of renowned pilots Scully Levin, Arnie Meneghelli, Ellis Levin and Sean Thackwray and have been in operation for more than 14 years. The Flying Lions use the world-renowned Harvard AT6 aircraft or 'Texan' in their shows. The Goodyear Eagles Aerobatics Team has been in the forefront of bringing aerobatics excitement to the public for the past 29 years. 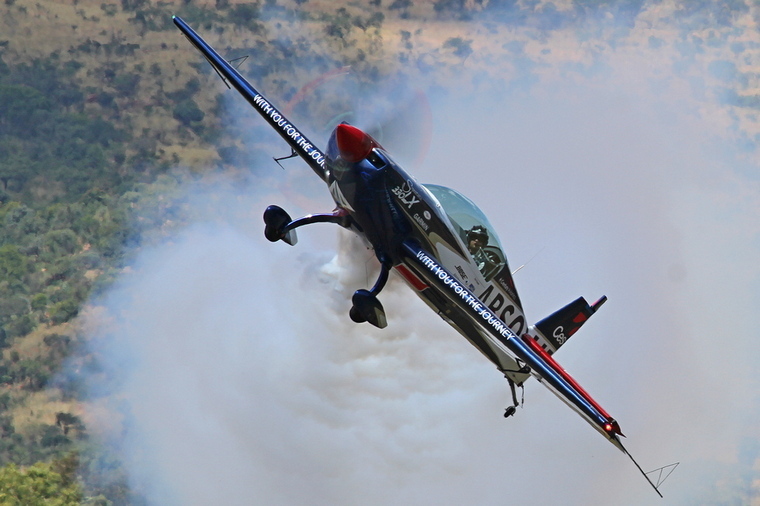 Since inception the team has been a regular, sought after performer on the South African airshow circuit as well as having the honour of being the first ever South African team to perform across our borders having been invited to perform in Kenya in Central Africa in 1993. They are privileged to have been invited back to Kenya on an additional nine occasions. A nine ship Vans RV formation overhead the Coves. Vans RV aircraft are the best selling kit aircraft ever produced. More than 10,000 are currently flying worldwide with more are getting airborne daily. Jason Beamish in his Extra 330 LX flew what were arguably two of the most impressive knife edge displays that I have ever seen for a while and judging by the reaction and applause of the spectators, most agreed. 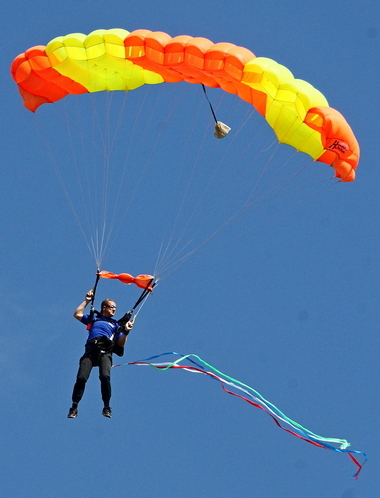 To reflect many enhancements to the event, The Coves community has renamed it "The Coves Flying Carnival" and the name did justice to the day's full program of aviation action and entertainment. Several aviation activities not seen in previous years were arranged. These included displays of powered paragliders, parachutists, radio-controlled aircraft - both powered and gliders, and formation flying. Helicopter flips were available to visitors to the Carnival and many made use of this opportunity to see the estate and the surroundings from the air. Joining the resident aircraft was more than forty five visitors. Although more than sixty has signed indemnities, the weather at other fields did play a role in the decision of a large number of aviators opting not to take a chance or were unable to take off. The lack of numbers of visiting aircraft has however in no way detracted from the day's entertainment. Drive in visitors (by invite only) was more than double than last year. To complement the aviation and the expected increase in visitors, food stalls, shaded seating areas, ice cold drinks and proper sanitation were provided. 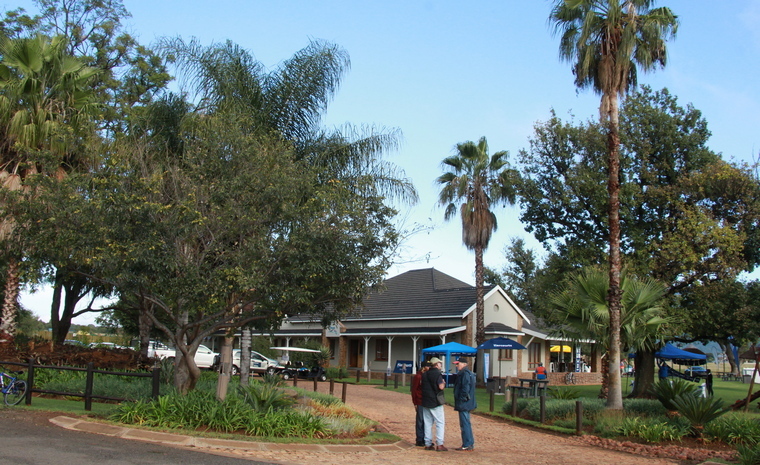 Local produce and crafts, as well as aviation toys and memorabilia, were also for sale. 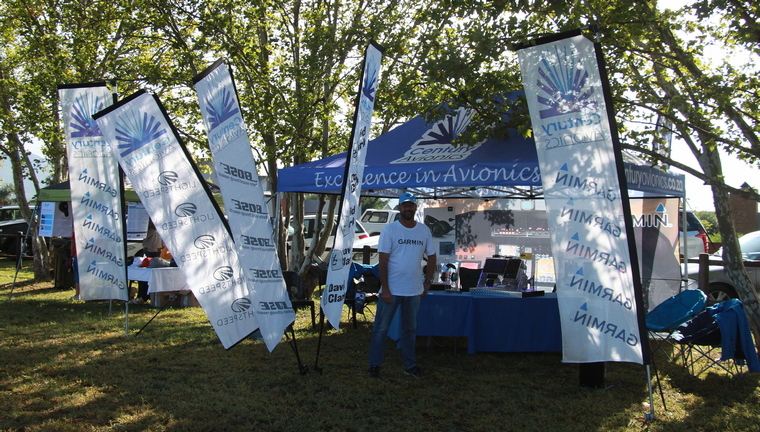 Lanseria based Century Avionics is one business that can be found at almost all aviation events. 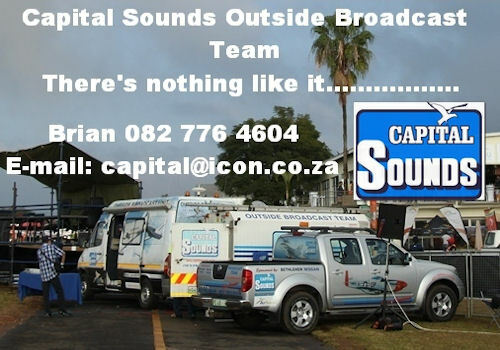 Leon du Plessis Capital sounds' s researcher with Coves resident and Yak 52 owner Charles Urban and Brian Emmenis, the voice of Capital Sounds in a jovial mood. 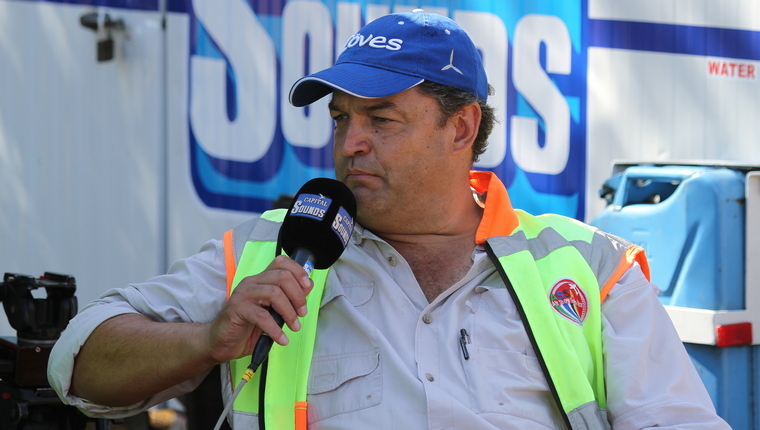 National Airway's Corporation and the Cove's aviation director JP Fourie. The Coves Carnival with its relaxed "villagey" vibe has now matured into an event with a unique identity; a fly-in that's more than a fly-in at a venue that is arguably one of the most spectacular in the country. That and the dedication and professionalism and the attention to detail of the organising committee together with generous sponsorship (see the list of sponsors below) bodes well for the future of the event.